Some exciting promos this month of July! when booking a GrabTaxi. 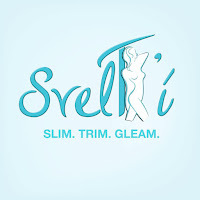 I have used it several times, and got successful claims. 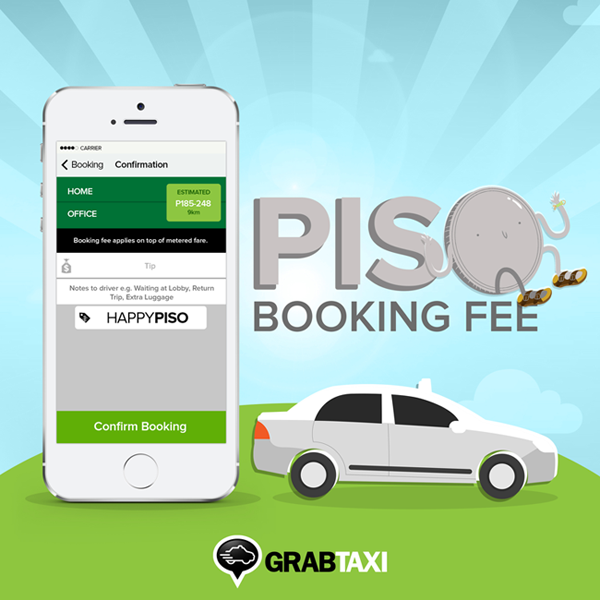 (you may also want to check out the GrabCar service. 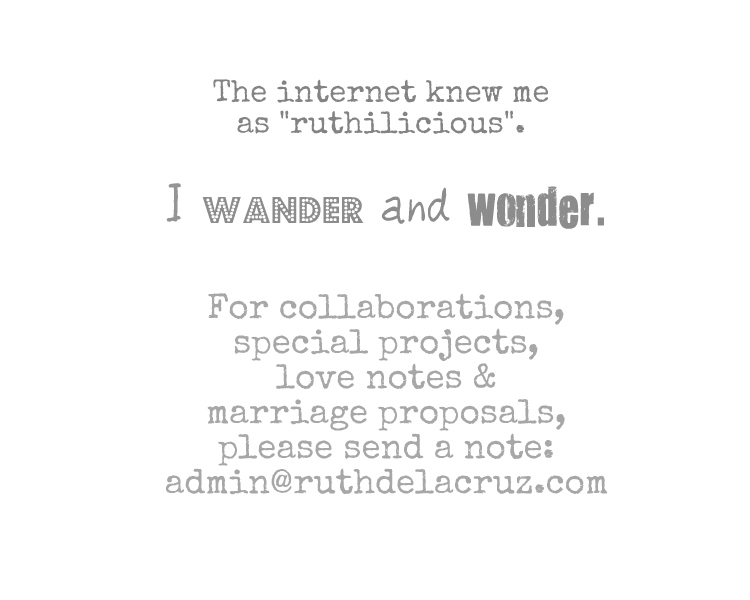 Read about it here). Promo is good until July 31, 2014. Trade the mattress you have for the mattress you want! 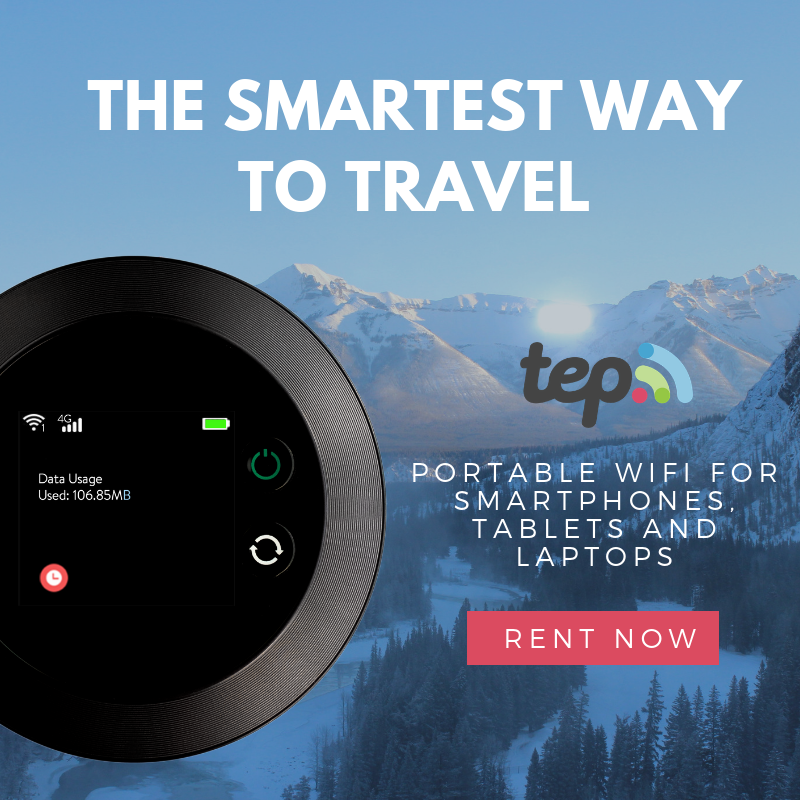 Dunlopillo is offering the exchange everyone has been waiting for with their new swap promo. 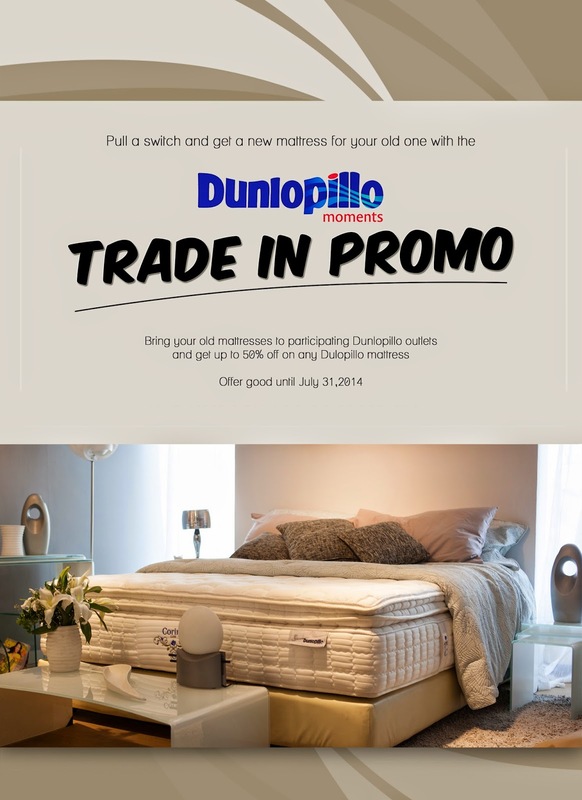 Customers can take their their old mattresses to select Dunlopillo outlets and get up to 50% off on a new Dunlopillo mattress. 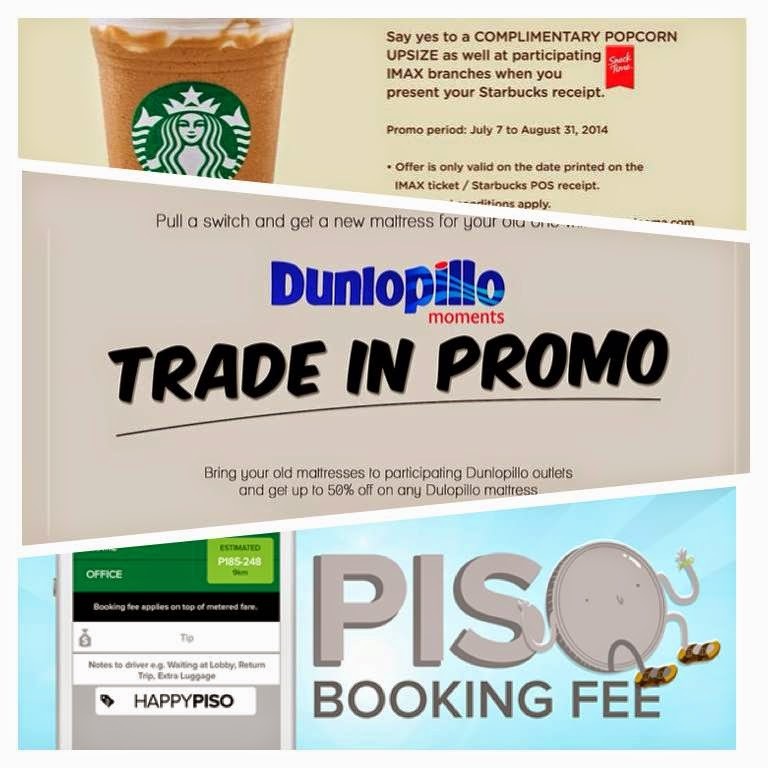 DUNLOPILLOPH on Facebook and Instagram for more information and updates. It is good to have coffee after a nice drink, you agree? My friends and I usually have coffee after movie to discuss the movie and what we think of the stars :) Now, you can get a free upsize of your drink just by presenting the IMAX ticket. Or, for those who love to have coffee first, just present your Starbucks receipt to get FREE POPCORN at the Snack Bar! 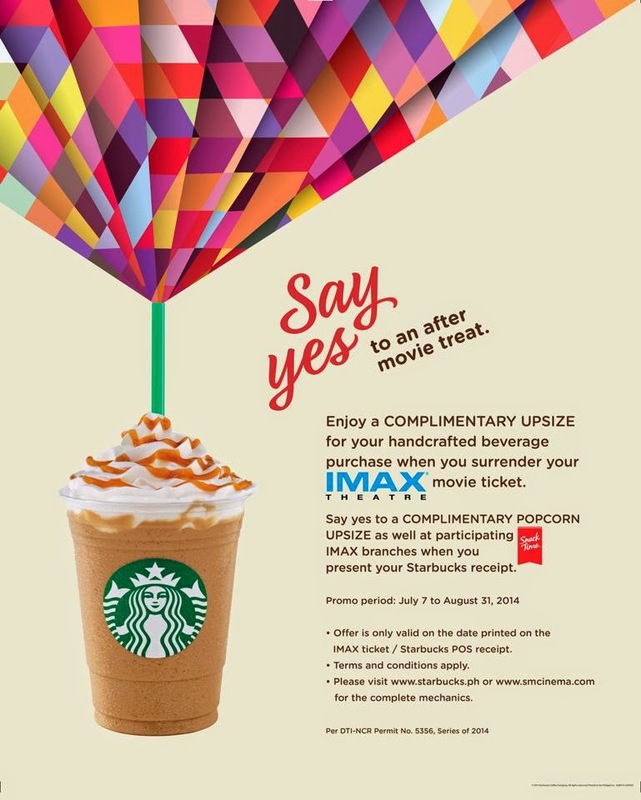 Offer is only valid on the date printed on the IMAX / Starbucks POS Receipt. Please visit www.smcinema.com or www.starbucks.ph for the complete mechanics. 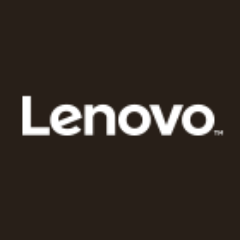 Offer is from July 7 to August 31, 2014.